Remoteness of Damage: Principle, Policy or Proportionality? On the 6th of March 2015, the Singapore Academy of Law had the pleasure of hosting the Right Honourable Professor Sir Bernard Rix at the Supreme Court of Singapore. Sir Bernard Rix delivered an insightful and illuminating lecture entitled ‘Remoteness of Damage: Principle, Policy or Proportionality?’ For our readers who may not yet know this, Rix LJ (as he was then) delivered the leading judgment in The Achilleas in the English Court of Appeal before it went up on appeal to the House of Lords. First year contract law students and practitioners should readily recall The Achilleas as a ground-breaking judgment in which Lord Hoffmann proposed an agreement-centred approach towards contractual remoteness, a proposal which has subsequently provoked much academic and judicial controversy. Before we get to the report of this event proper, some caveats are in order. Because this report was prepared without the use of a laptop, heavy paraphrasis has been necessary in the writing of this entry. This entry does not purport to be a verbatim recount of Sir Bernard’s views on the matter (for which, the interested reader is directed to a version of the lecture which it is anticipated will soon be published). Rather, it is an attempt as a captivated member of audience to reconstruct what he thought were the most memorable and salient points arising from the lecture. Certain nuances of argument and style have no doubt been lost in this process. This author therefore assumes full responsibility for any distortion and misunderstanding of Sir Bernard’s views, and additionally, for any lapses of style. Sir Bernard started off the lecture by acknowledging that remoteness is a difficult and controversial topic. The doctrine of ‘assumption of responsibility’ is not good law in Singapore (MFM v Fish & Co, Out of the Box v Wanin Industries). The aim of his talk was to discuss the controversy between two doctrines: agreement-oriented doctrines focusing on volens (Achilleas), and knowledge-oriented doctrines focusing on sciēns (Hadley v Baxendale). This is a topic he has been thinking about this since The Pegase, a case in which Goff J (as he was then) delivered judgment, and in which Sir Bernard was counsel. Sir Bernard started by setting the scene for the Achilleas and the academic controversy following it. Damage, causation, and remoteness are general problems arising in both contract and tort. For Sir Bernard, the question is this: to what extent is the plaintiff liable for the endless possibility of cause and effect? Liability is like a pebble dropped on the sea. The ripples travel on and on, touching continents and coasts far away. In tackling this issue two concerns must be paid heed. The first, is the need for full compensation for losses. The second, is to not overwhelm the defendant with endless liability. The answer we have to this is the doctrine of remoteness. We say that losses that are too remote are not recoverable. But that is simply to restate the problem. It is not a solution. The question is whether remoteness is a matter of principle, or just pragmatic policy. Sir Bernard then emphasized the need for an awareness of certain important distinctions between tort and contract. In contract, the parties are in a relationship. They agree to terms, express or implied. They allocate risk between themselves by these terms, and there is always a matrix beyond the terms, which is sometimes referred to as the ‘reasonable contemplation’ of the parties, their ‘expectations’, or the ‘context’. By contrast, in tort, parties are not usually in a relationship, beyond their being ‘neighbours’ in the Atkin-ian sense (Donoghue v Stevenson). The essence of a tort is in the harm done by the tortfeasor to the victim from the ‘outside’. We see this readily in the torts of defamation, deceit, and conspiracy. Further, in contract, as Sir Bernard emphasized, one pays attention to the moment of contract conclusion. Under the Hadley v Baxendale test, one asks: what were the parties agreed on at that time? Unlike contract, in tort, one focusses on the time of the breach of duty: what is foreseeable from that time? In tort, we used to have a distinction between direct and consequential loss, but that is a distinction which later broke down. Wagon Mound was the case which introduced the idea of reasonable foreseeability into remoteness in tort. Sir Bernard raised this to note the cross-currents which have influenced our concept of remoteness in contract. Where a duty of care is owed in a contractual setting, in, for example, a contract for the provision of professional advice or services, tort and contract may overlap. There is an underlying assumption of responsibility in the contract. Pure economic loss might be sought. In SAAMCO, the defendant was a valuer who had valued property, on which a bank advanced mortgage loans. The property was negligently valued. If the bank had known of the lower value of the property, they would not have advanced those loans. The negligent valuation was therefore a ‘but for’ cause of the loss on the transaction. The property market nose-dived. When the property was sold upon default by the borrower, the bank suffered a loss. It was a loss due in part to the market fall, and in part to the negligent valuation. The court held that the valuer was not responsible for all consequences of the bank’s course of action, but only for the consequences of the valuer’s information being wrong. Essentially, the valuer’s liability was capped by those due to the overvaluation. Lord Hoffmann held that the valuer was not responsible for, or had not taken the risk of, consequences of the transaction other than his negligence went. It was entirely foreseeable that if he had valued it at one level, or in one form, that the transaction might not have taken place. But it was not within the scope of the valuer’s duty to take responsibility for the transaction save within his valuation. The valuer was not taking a market risk and advising the bank to transact or not. The decision to transact was taken by the lender himself. According to Sir Bernard, three points arise from the crucial passage in Lord Hoffmann’s judgment. First, the principle in SAAMCO includes a view as to what is fair and reasonable between the parties. Second, fairness is derived from an a priori view that such a person in the valuer’s position is not generally responsible for such losses. Remoteness is already built in. Perhaps one could rationalize the decision as based on the proposition that in such a transaction as between a lender and a valuer, the lender is the one responsible for the market risk, while the valuer is only responsible for the valuation. Third, Lord Hoffmann took a broad view of remoteness. Rules that make a wrongdoer liable for all losses (e.g. a fall in market value) are special and exceptional, and therefore wanting of justification. The primary rule is for the finding that the loss is too remote. The loss in SAAMCO was reasonably foreseeable. But as we all know, ‘reasonably foreseeable’ is an elastic word. Sir Bernard then turned to The Achilleas, where the ultimate test was held not to be that of reasonable foreseeability, but rather one of assumption of responsibility. The test there shifted from being a knowledge-oriented one, to an agreement-oriented one. The question which had to be asked was this: should Hadley v Baxendale still be good law? Or should we supplement it by a doctrine akin to interpretation? In The Achilleas the House of Lords answered ‘maybe’. But in Singapore this question received as answer a firm ‘no’. Sir Bernard invited us all to consider: is it ever possible to have a single all-encompassing test for remoteness? Or is life a little more complex than that? Perhaps one might have to settle for deciding whether in a certain case, it is fair or not to hold the defendant liable for such and such losses. In this way, remoteness becomes a functional test. Causation is necessary but not sufficient. It doesn’t distinguish between losses which are too remote or not. Because what one might think is fair may be subjective, in true common law fashion, we seek a test to serve this function. But maybe we cannot find a single rule. To sketch out the contours of the issue, Sir Bernard proceeded to consider a textbook problem as an illustration of the second limb problem in Hadley v Baxendale. The second limb states that if a contract breaker is to be liable for special losses, he must be aware of the special circumstances, to be responsible for such losses following from his breach. Suppose then a taxi driver, told by his client that he has to catch a plane to make a most valuable deal. He runs out of a petrol, or gets involved in an accident, causing the client to miss the plane. Should the taxi driver be held liable for the loss of the deal? It is true, as Sir Bernard notes, that one thinks intuitively: ‘of course not!’ This, assuming the taxi driver didn’t stipulate in response a one million dollar reward for making the deadline. But why not? Hadley v Baxendale can’t tell us why. The first limb includes losses that ‘may fairly and reasonably be considered either arising naturally… from such breach of contract, or such as may reasonably be supposed to have been in the contemplation of both parties, at the time they made the contract, as the probable result of the breach of it’. This is a typical common law objective question. (The special losses here do not fall within this first limb.) But why, when the taxi driver knew of his client’s special needs and his potential losses, when it was an expressly contemplated and foreseen loss, is he not liable? The answer must be that is it objectively unfair and wrong to impose on the taxi driver responsibility for the affairs. In a sense the first limb survives into the second limb. The test is one of fairness. That is objectified in common law form. But what generates our view of fairness? To consider this Sir Bernard turned to a variation of the problem. Suppose the businessman says that the urgency comes from his wife’s pregnancy, and the accident causes personal injury. In the case of business loss, we say the taxi driver doesn’t assume responsibility. The taxi driver does not take responsibility for the businessman’s business. It’s not about causation – he clearly caused the loss. The function of information in the second limb is to make something known unknown, something unforeseen foreseen. One might say that this loss is simply not within the scope of his duty. But this doesn’t tell you why not. It simply restates it. Our reaction is instinctive. It may comprise of a consideration of several facts, including the price of the contract, that this was a typical consumer oral contract where there were no written terms, and no opportunity for the exclusion of liability. It may be a consideration of allocation of risk: the businessman cannot implicitly merely by giving information impose on the taxi driver loss naturally falling on him. Perhaps it may be due to the taxi rank rule, which inhibits bargaining. The driver can’t simply say: ‘no, go away, I’m not taking you’. What this shows is that the facts bear on our decision. But the principle is one of fairness. Rationalisations follow. How about in the case of personal injury? Does the duty of care to drive carefully extend to not causing delay? This would go to the scope of the duty. Sir Bernard moved on to deal with The Achilleas. The Achilleas involved late delivery of a ship under a charter. By the time the charter drew to an end, hire rates had gone up by two times relative to the price of the charter. The owner, anxious to squeeze every drop of profit out of it, fixes a follow on charter. The risk he took ends up occurring: the charterer was late. But the shipowner had fixed a new charter with another charterer. 9 days late delivery meant he couldn’t tender in time, and so he lost that charter. In between, the market plunged from its peak. The shipowner claimed damages in the sum of $1.5million. They claimed from the old charterer for breach of contract, namely the warranty of redelivery. The late charterer disputed the damages, claiming they were liable only for the difference, not the loss of the follow on charter which he undoubtedly caused. The Court of Appeal allowed recovery. But the House of Lords ruled in favour of the late charterer. Sir Bernard’s focus was on Lord Hoffmann’s analysis, developing on SAAMCO. In answering the question Lord Hoffman said that foreseeability may play a role but it is an uncertain guide here. It is better instead to see if the charterer assumed the risk of such a loss. In doing so he had reference to several things, including the fact that no such claim for loss of a follow-on charter had been made before, the unquantifiability of such a risk, and the fact that the arbitrators had said that shipping lawyers would have advised that this loss would not be claimable. He held that ‘it seems to me logical to found liability for damages upon the intention of the parties (objectively ascertained) because all contractual liability is voluntarily undertaken. It must be in principle wrong to hold someone liable for risks for which the people entering into such a contract in their particular market, would not reasonably be considered to have undertaken.’ Lord Walker and Lord Rodger preferred to use the traditional test of ‘reasonable foreseeability’, emphasizing market volatility in so doing. Sir Bernard noted that in England, there has been no rush to finding a loss as too remote. In the Supershield case, Lord Hoffmann’s analysis was used: parties did foresee this loss. But it was particularly assumed by the parties in question. In the 2012 Rubenstein case, a bank was held liable for loss consequent on negligent advice. There, the client had made it clear to the bank that it was unwilling to accept any risk at all. Cases like Amer Energy (2009) and Classic Maritime (2010) all have confined Hoffmann’s assumption of responsibility analysis to relatively rare situations. Then came the case of John Grimes in 2013. There, property developers who wanted to build on farmland employed engineers. By April 2008, the work had still not been done. So they engaged another firm. But the delay caused the developer to run into a falling market. The engineers sued for their $15,000 fees (no doubt a bad decision). The developers counter-claimed for the loss caused by the delay, and succeeded on trial and appeal. This was a SAAMCO rather than Achilleas type case: it was a care of a professional owing a duty of care not relating to the market. But the judgment dismissed SAAMCO, saying it was not a delay case, and the discussion about the extent of the valuer’s duty there provided little guidance. Achilleas was also briefly discussed, and dismissed. The essence of the reasoning was to return to foreseeability as the essence of the test. Of course market falls are foreseeable. For Sir Bernard, this case did scant justice to the learning of SAAMCO and whatever its relation is to Achilleas, maybe even reaching the wrong result. Sir Bernard then pointed out that Singapore, free of the binding precedent of The Achilleas, has been openly critical. It has affirmed Hadley v Baxendale as the leading test, affirming reasonable foreseeability as the key test in three cases. Roberston Quay v Steen came after the Court of Appeal decision in The Achilleas, but before the House of Lords appeal. Like in Grimes¸ it concerned an engineer who negligently supplied drawings, causing structural defects in the building (physical loss), leading to consequential financial loss. This did not raise the problem of market loss. It was held that Hadley v Baxendale was still good law, after referring to the New Zealand case of McElroy Milne, where President Cooke suggested that Hadley v Baxendale was a broken reed, and we should instead use a multi-factorial test. The Singapore Court of Appeal rejected this, holding that the Hadley v Baxendale test distinguishes between contract and tort, and has withstood the time of time, proving its worth. Following The Achilleas, there was another attack in MFM, by reference to Hoffmann’s agreement-based approach. An employee hopped, causing losses to his former employer due to breach of a covenant not to compete. The only issue of remoteness was whether he was liable for its ongoing effects after the breach had ceased. Why not? It was exactly the same kind of loss caused by the same kind of breach. It was only a question of its ongoing effects. The Singapore Court of Appeal concluded that Hoffmann’s agreement-based rationale didn’t do much; it was uncertain, and it didn’t provide anything that Hadley v Baxendale didn’t provide. 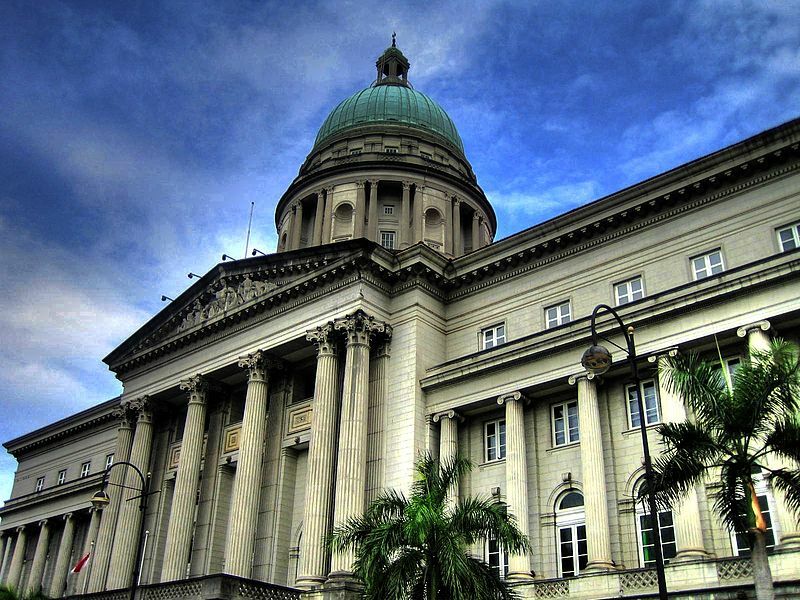 In Out of the Box the Singapore Court of Appeal revisited this issue: a substantial part of the damages claimed was found to be too remote. The issue arose from a supply of drinks, the claimant having spent vast sums of money on advertising. The goodwill collapsed from a supply of defective drinks. Could he claim for his advertising expenditure from the supplier? No. It was a straightforward application of Hadley v Baxendale: these are extraordinary losses. It was an eminently sensible case to say Hadley v Baxendale was up to the job of sorting out the wheat from the chaff. There was no need for Lord Hoffmann’s new test based in interpretation. Moreover, Achilleas was said to be explainable based on Hadley v Baxendale as consisting of two different types of loss. Sir Bernard summarized the position thus: the House of Lords has spoken uncertainly. There has been much academic criticism. Subsequent decisions have cast on The Achilleas a somewhat baleful light. In Singapore, Lord Hoffmann’s approach has been rejected. Hadley v Baxendale rides high. Perhaps, Sir Bernard proposes, there might be a possible third way which integrates the insights of Hadley v Baxendale and the agreement-based approach in The Achilleas. The most fundamental principle is fairness and reasonableness. One might also refer to proportionality. Remoteness occurs in cases where unexpectedly large losses occur. A loss may be unexpected even though objectively foreseeable. The contract must not provide for it. If the contract provides for it, it should of course apply. The contract may have an inclusionary effect, for example, through the use of liquidated damages clauses. Or it may have an exclusionary effect, excluding losses of a certain kind, for example, indirect and consequential losses. Contracts also contain implied terms. Maybe today we are less hesitant than before to imply terms. But we are still unlikely to imply an implied term for the exclusion of loss. We are not familiar with such a term. If someone wants to exclude his loss, he should say so. Contractual interpretation can carry us only so far, but it cannot solve problems of remoteness, for two reasons. In the hard cases there is often no provision for such losses, and such loss is often unexpected, unthought of. It is not for the courts to make a new contract for the parties on the basis of what they might reasonably have contracted for. That is a line that cannot be crossed. Sir Bernard proposes that we decide these cases with a combination of ingredients: looking at the contract, the expectations, knowledge, imputed or actual, and fairness, which is to be the drumbeat of all these ingredients. This is what Hadley v Baxendale itself implies. It is also what Sundaresh Menon CJ has said in Out of the Box; that the central question is whether in all the circumstances it is just that the contract breaker should be held liable for the losses that have in fact materialized. Foreseeability itself may not be enough. This is the key insight of Lord Hoffmann in The Achilleas. The actual decision, is, in Sir Bernard’s view, wrong. Sir Bernard summed up by asking us to consider the important question: where does one end up? Are the tests matters of high principle? That is an academic’s question. Being academics, there would be some voting here, and some voting there. Is it a question of policy? That is the realist’s answer. How about proportionality? That is the judge’s question: or, what one might rather call, fairness. Sir Bernard concluded his lecture with several points. First, we can’t reduce the matter. If anything, it is a matter of fairness. Ultimately, the concern with the tests is just that. Life is too complicated. We cannot dispense with wisdom or judgment. Don’t just look at the reasoning of these cases, look at the decision. Second, Hadley v Baxendale was a decision by juries. It was rejuvenated, and overthrown by Lord Hoffmann’s insights. Do we know of another jury test that has survived for so long? It must be almost a miracle that this one has. The ultimate goal, however, is to arrive as a solution that is fair and reasonable between the parties. This is what the jury knew was of importance. Third, the emphasis on knowledge leads to the beguiling influence of reasonable foreseeability in tort, where it has assumed an increasingly important, but different role than in contract. Fourth, it is important to distinguish between contract and tort, and their different underlying policies. Contract is most comfortable dealing with economic loss, while tort deals best with physical loss. Although elements of both can be found in both, economic loss is the meat and drink of contract but viewed with suspicion in tort. Fifth, in tort, we have the eggshell skull rule, which decides that as between wrongdoer and victim, the loss is to fall on the wrongdoer. In contract, losses are often capped by a limit, but the aggrieved party is not treated as an eggshell. If one’s business is unusually disruptive, he can make it known. Sixth, in Heron II, the question was whether carriers run the risk of late delivery. The House of Lords said yes, reversing several old cases. The age of sail was overruled by the age of steam, so it could be said that they were sufficiently part of the same trade, and that carriers of goods should be treated like charterers of ships. Seventh, does a valuer share responsibility for a market fall? Enter into the picture ‘scope of duty’ (SAAMCO). Professionals don’t usually share in market risk of their clients. Market falls are foreseeable. But does a valuer take on the market risk of his client? No. It would not be fair or proportionate. Eighth, beware of implying terms out of contemplation. If a party wants to exclude liability, he should say so. The default should be liability, not non-liability. Ninth, what about the deliberateness of the breach? In some torts like conspiracy, deliberateness is the essence of it. It may also aggravate damages due, as in defamation. In contract, deliberateness is thought to be irrelevant because we must focus on the time of contracting, not the time of the breach. But should we only look to the time of contracting? If remoteness is agreement-based, the deliberateness of the breach should be no matter. If the charterer in The Achilleas deliberately kept the charter to take advantage of the low market rates, causing the loss of the follow on charter, why should he not be liable? Fairness suggests that some adjustment would be necessary. Academics have suggested it. Menon CJ in Out of the Box has accepted the centrality of fairness. In the end, the central message from Sir Bernard may well be this: there is no open sesame test. Principle, policy, and proportionality must all be considered.